It’s great that we have representation in our junior section from the same family. 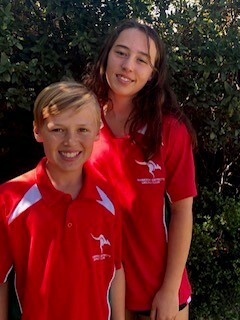 Finley Nicholls has had a great season in our futures squad and Emilie in our female Mike Hussey Cricket Academy who played in the Premier Girls Youth League. This is our first brother and sister combination at WDCC with potentially and hopefully more examples to follow. Well done to the Nicholls family!